The destruction left behind by a Pasadena home or business water damage disaster can be painful to see and difficult to face. Yet it can’t be ignored. Services like water damage restoration, smoke and odor removal, flood damage removal and mold remediation must be taken care of immediately before secondary damage has a chance to set in. That begins immediately and with Pasadena’s mild climate mold can become a huge problem in as little as 24 hours. Disaster restoration is actually quite technical so you need professional services to properly take care of it all. 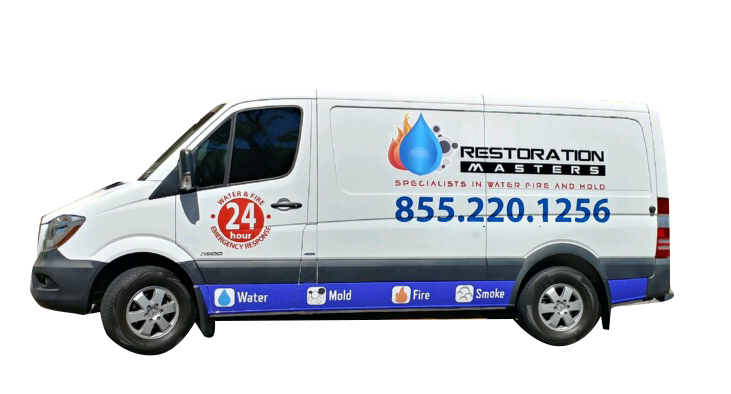 Restoration Masters is ready 24/7 with a live operator and on-call experts. We can dispatch a certified technician within minutes and they will reach your Pasadena location in under an hour for immediate assessment and a free quote. We’re a single company fully qualified to handle all of your mitigation, remediation, repair, and reconstruction needs. Our technicians are certified in the full spectrum of specialized services by leading organizations such as CRA and the IICRC. We and use eco-friendly non-toxic cleaners and maintain a full line of state-of-the art equipment to assure the very best results. Our crews also deliver quality workmanship in all repairs. Starting from our initial assessment we’ll keep you informed on what we find, what we’re doing, and what your options are. Our goal is 100% customer satisfaction. If there’s something wrong we’ll make it right. We’ll work directly with your insurance company, saving you time, worry, and stress. Our years of experience have told us exactly what sorts of detailed documentation are required for a smooth claims process. We also understand the full list of mitigation steps that must be completed promptly to avoid having a claim for secondary destruction rejected. Whether commercial or residential, just give us a call any time, any day, and we’ll be there right away. Whether following a storm-blown roof or a burst pipe flood damage restoration is surprisingly technical. Clearly any sewage cleanup (“Category 3”) requires extensive sanitation expertise. But any water becomes a bio-hazard after 24 hours. Not coincidentally that’s also the time it takes for mold to get going. So our rapid pump-out, disinfecting, and water damage restoration services are critical. We’re also experienced in mud and debris clean up. Our pack out services can remove your furniture and other possessions from the damp environment, clean and treat them under controlled conditions, and store them in our secure facility. Whether from natural flooding, fire suppression, or plumbing problems water damage one of the most common homeowner’s insurance claims. Why is that? Water and even excess moisture quickly lead to mold outbreaks and also harms drywall, wood, and other building materials in a matter of days. Yet it quickly penetrates into the subfloor and wicks up walls to where it can linger for weeks with only natural evaporation. Shop vacs, fans, and carpet cleaners don’t even begin to do the job quickly or thoroughly enough. That’s why expert water damage restoration is so critical in keeping restoration costs down. After any needed pump out and decontamination our specialized extraction equipment immediately removes up to twice as much water as alternatives. We then use unique refrigerant dehumidifiers and spot heaters and frequent monitoring to quickly get even deep moisture down to safe levels in just a couple of days. Along the way we can complete any water damage repairs and finish up with odor removal as needed. Fire damage restoration may in fact involve nearly all of our services and is very challenging both technically and in managing the many time-critical tasks. In addition to the disturbing visible destruction there’s usually hidden structural harm along with widespread smoke and water. Without quick attention things soon get out of hand and building materials and possessions that were once recoverable have to be discarded. After structural bracing, board ups, and tarp overs we’ll proceed with debris and hazardous material clean up. As needed we’ll also complete fast water extraction and structural drying along with smoke and odor removal. We can clean and restore furniture and other possessions either on site or at our secure facility after pack out services. Our experienced crews can handle any demolition, repairs, and reconstruction you might need. Any source of moisture or high humidity can quickly lead to mold growth. It may seem like just a nuisance, but it needs to be treated very seriously. Molds release both spores and toxins. Most lead to allergies and irritations, but some put your and your family (or employees) at risk of some very serious medical conditions. Attempting to take care of things yourself is a huge risk. And the longer you wait the more extensive mold removal can become. Always keep in mind that since mold doesn’t need light to grow a huge problem can be completely hidden above the ceiling, inside a wall, or below flooring. Mold remediation begins with careful visual inspection as well as tests for moisture and leaks plus taking samples for lab tests. With the exact species and extent of the problem known we can create the best plan of action. A detailed plan is necessary to assure thorough removal while preventing spread, and will include: isolation, specific mold removal methods, decontamination, and odor neutralization. That may also include cleaning ducts and vents, and may involve treating furniture and/or replacing carpet and porous building materials. Whether from the roof, one or more window frames, or a hidden plumbing problem our leak detection specialists can pinpoint the location. That’s because we combine years of experience, training, and state-of-the-art leak detection instruments. We can spot slab leaks under a concrete floor, as well as underground leaks outdoors. After winds and heavy rain, you may need our storm damage restoration services. We’re ready for a tarp over followed by temporary or permanent roof repairs, window and door board-ups, debris cleanup, water damage restoration, and mold abatement. We’ll also take care of all haul away and disposal.